The award, which recognizes the most original book on the coming of the Civil War, the Civil War years or the Era of Reconstruction, is presented annually by the Organization of American Historians. Ayers was recognized at the organization’s annual meeting in Sacramento on April 13. April proves to be a busy month for Ayers as he will also be awarded the 2018 Gilder Lehrman Lincoln Prize by Gettysburg College and the Gilder Lehrman Institute of American History. Ayers will accept the $50,000 prize for his work at an event on April 26. 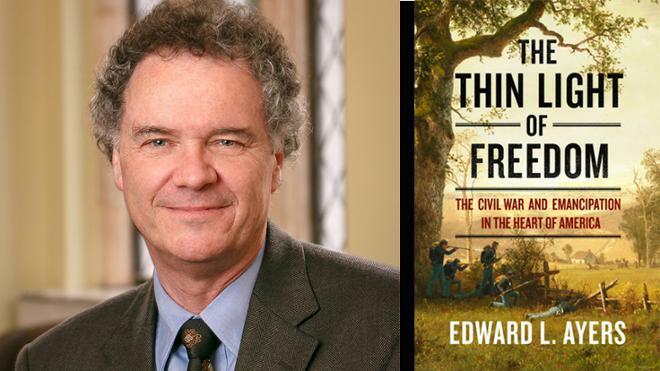 Ayers has also been awarded the Bancroft Prize and Beveridge Award for other books on the Civil War.